Imagine you have been given the job to lead a team of people to achieve something. You’ve got dreams and ideas to achieve something special, something great, something worthwhile. The sort of thing that when finished, is recognised as a ‘job well done’. Where would you start, what would you do, how would you achieve the outcome? If you can’t think of something special, here’s one for you. Now imagine you’ve just been given the job to coach a sporting team. Let’s say it’s a football team. How would you approach that? Competition and the expectations of fans can be an intense thing. And even if you have super talented people in your team, they can’t be left without direction. Get to know your players and start developing a relationship. Observe your players in action. Speak to others about your players to find out their strengths and weaknesses. 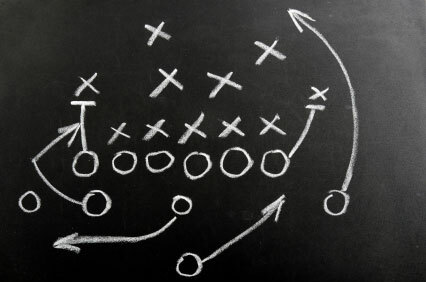 Let the players know your strategy and plan for the year. Let them know how they fit into the strategy. Make sure the skills needed to support your strategy are being constantly practiced. Identify the weak points that are worth developing in each player. Review each game with players individually to highlight what went well, what didn’t and what needs to change. Review and change skills practice if necessary. Continually give players feedback on things they are doing well and the things you have asked them to change and improve. Encourage team members to recognise each other for their efforts and achievements. At the end of the season talk with the group and each player individually to recap the season and talk about next year. What would happen if you didn’t do these things? The team wouldn’t have any direction. It’s possible they could perform well if they are highly skilled, but unlikely over the long term. It’s much more likely the team would languish on the bottom of the ladder! With that in mind, see if you can see any similarities between the coaching scenario and the processes described below. Even if you have super talented people in your team, they can’t be left without direction. The things you want to achieve with your team don’t have to be as big as a moon landing. For many, they won’t be as intense as a sporting competition either. But the same needs apply. The same things will determine the degree of success or failure. In an organisation, here’s how it should work. The process should start with communication and planning. Managers should talk to their team as a group and share the business unit’s goals and plan for the year. Managers then sit down with each individual employee to discuss and determine how the team member can contribute to the goals. Objectives are then written. See our separate article on how to write good quality objectives. This is great because it aligns the team member to the business unit goals and gives them a sense of being part of something bigger. They aren’t just coming to work and doing a list of tasks from a job description. Depending on the person’s role some of the goals may be pre-determined. For example, team members in a call centre may have pre-determined goals for customer satisfaction. Managers and employees also need to talk about learning and development for the year ahead. Some team members might need to work on things towards their next planned career step, some may need development to give them skills needed to achieve one of their goals. And some may need both. 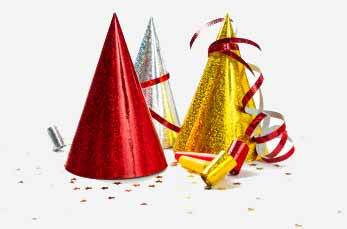 A competency review is normally done at the end of each year. The result of this review is used in the planning phase of the next cycle. Apart from helping a person to understand their strengths, it’s also used to inform development activities for the coming year. The competency review is great at identifying specific skills, capabilities and behaviours. The outcome of the planning phase is the Performance Plan and Development Plan. Recognition from peers and others is a powerful motivator. Giving feedback on things that are going well. Giving feedback on things that need to change. Feedback needs to be in the moment as much as possible. As and when things happen. Recognition and positive feedback can generally be given in front of others. This isn’t always the case though as some people don’t like to be praised in front of others. Feedback on things that need to change should be done privately. Managers should also create an environment where their team members feel comfortable coming to them with any issues on a day to day basis. Team members need to be encouraged to recognise each other for their effort and achievements. Managers have only one perspective and can’t know everything. Recognition from peers and others is a powerful motivator. Throughout the year managers should be having regular one-on-ones with their team members. A great practice is to do this on a fortnightly basis. It doesn’t need to take any more than 10 minutes most of the time. The one-on-ones provide employees with regular feedback they can use to understand how they are going and a place to discuss any issues. Feedback is best given on the spot, so if possible managers shouldn’t wait until the one-on-one to deliver it. However the one-on-one is useful to talk about any feedback in more detail and to provide coaching for anything that needs to change. If something is affecting performance, the one-on-one is good place to talk about it. And if the manager has been coaching the employee, the one-on-one is the time to talk about progress and achievements. The one-on-one is also an opportunity for the manager to ask for feedback on themselves to understand things they may need to change or improve. A record needs to be kept summarising all one-on-ones. 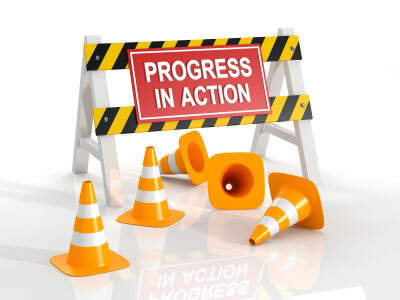 Employees should update their Performance Plan and Development Plan as progress and achievements are made. If not done regularly though, the semi-formal quarterly review is a good milestone to make sure it is done. The manager can then review these achievements and comment on them. As part of this process they may also collect additional information or evidence on achievements. The manager and team member meet to discuss progress. The idea of these meetings is to let the employee know if they are on course and to adjust anything that needs to be changed. Priorities may change and this may need to be reflected in the performance or development goals. The end of year review is really very similar to the quarterly reviews. It starts with the team member completing a self-review of their achievements for each of their performance and development goals. The manager then completes their review of the achievements. The employee and manager meet and discuss the review. They talk about what went well, what didn’t go well and how they might change things next year. If they have been having regular one-on-ones however, there really shouldn’t be any surprises in this discussion. In some organisations, the manager will also determine a final overall performance result. This is generally used to inform any remuneration changes such as salary increases, bonus payments and share allotments. In other organisations, it may be used to determine progression. The cycle described above is an annual one. Some organisations, most notably Google, use a quarterly cycle. There’s certainly some argument to this given the fast paced and changing nature of work today. Conversely you could argue that an annual cycle with continual feedback and quarterly reviews provides the same benefit. 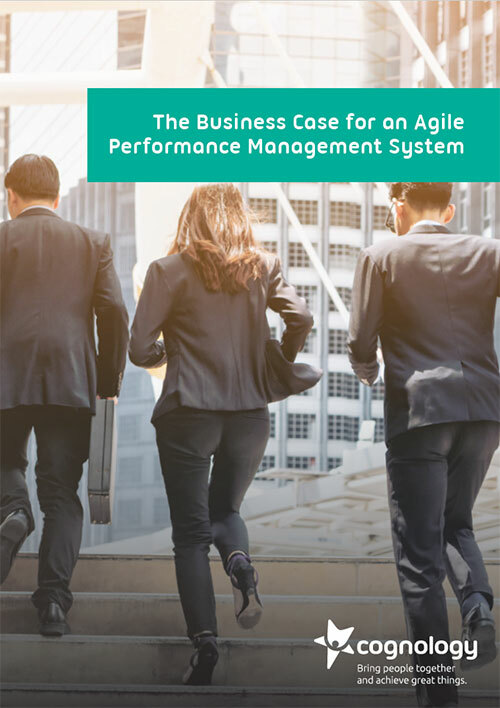 There’s more than one way to create a great performance management process – find the approach that best suits your organisation with our Business Case for an Agile Performance System.